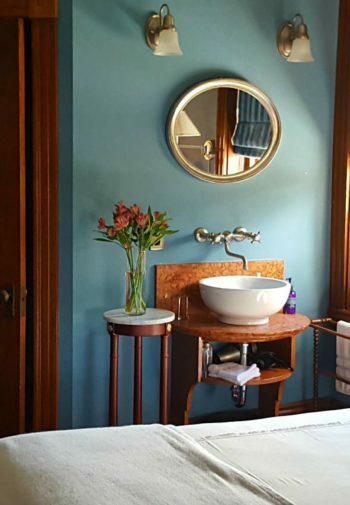 Nestled among beautiful downtown Keene, the historic Colony House Bed & Breakfast offers convenience and comfort to the casual or business traveler. This 1819 Federal style home, listed on the National Historic Register features lovely high ceilings, original woodwork and tin ceilings with 4 gracious 2nd floor rooms featuring queen or king size beds and private baths (some with fireplaces for use with candle insert.) The Owner, Joslin Kimball Frank was honored for the restoration of her great-grandfather’s home. Her niece, Lisa, now serves as Manager and ambassador of their historic family property. 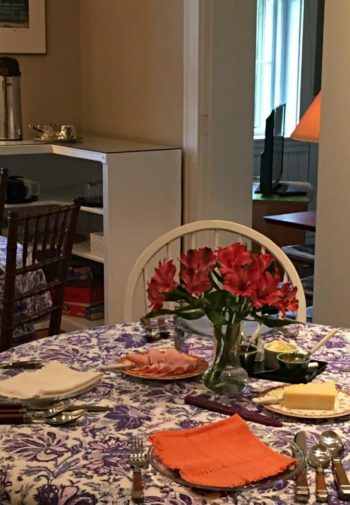 Accommodations include parking, WiFi, common living room space, guest kitchen with refrigerator, microwave, dishware, glassware and cutlery and an expansive European-inspired continental breakfast featuring fresh fruits, yogurt, local breads, cereal, meat & cheese plate, soft/medium/hard boiled eggs, locally roasted coffee, and a variety of tea and cold beverages. It’s just a stroll to the downtown eateries, spas, shops, theater and Keene State College or hop on our Pathways to Keene bike trails using our complimentary guest bicycles. 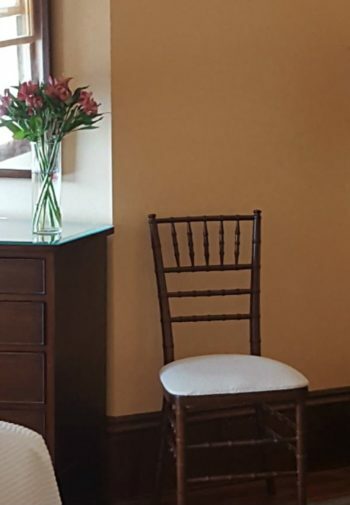 At the Colony House B&B you’ll find all you need to make your stay in Keene convenient, relaxing, comfortable and affordable.